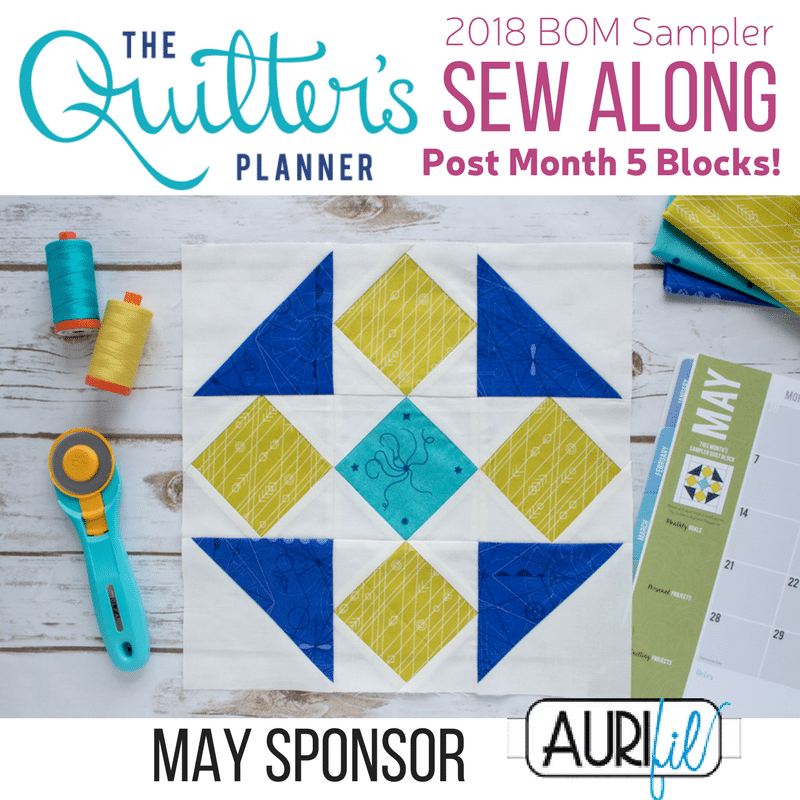 We’re back for the 5th month of the 2018 Quilter’s Planner Block of the Month Sampler Sew Along! It’s hard to believe that we are already in May. 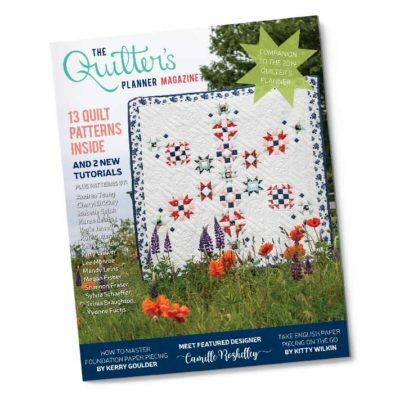 This month, we are working on Block 5 (page 31-32) in the Quilter’s Planner Magazine. Block 5 uses Square in a Square units to create its design. Take a look at our great tips below to help you get perfect results! For our Block 5, we used the following feature fabrics by Alison Glass for Andover: Diatom in Seaside from Sun Print 2018, Compass in Lapis from Sun Print 2018, and Latitude in Seaweed from Diving Board. The traditional piecing method for the Square in a Square block can be tricky. 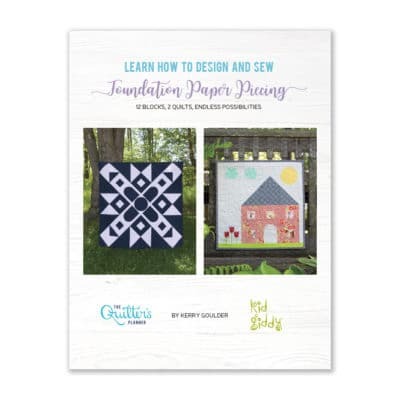 If you are struggling, or you just prefer the precision of paper piecing, here is a foundation paper piecing (FPP) template to use. If you’ve never paper pieced before, this is the perfect block to try. 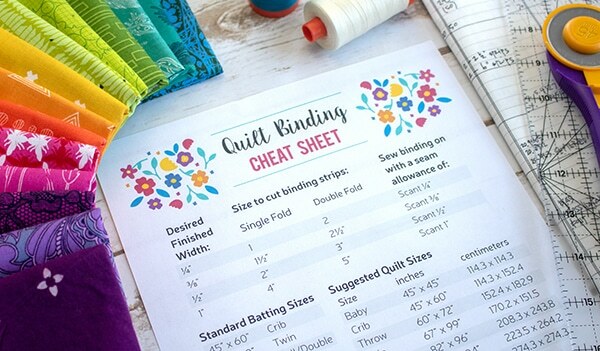 Stephanie also filmed a short video showing you how to use the paper piecing template. 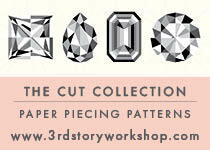 Click here or below to watch the video about how to start paper piecing. 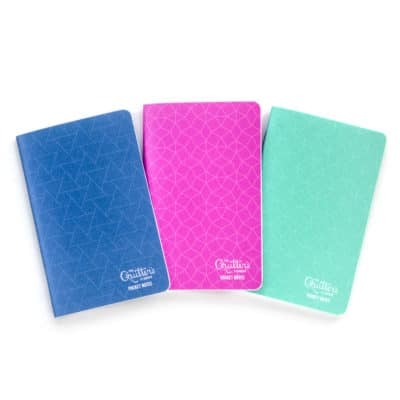 You will need to print 3 copies of these templates (there are 2 per page, and you will need a total of 5 units) and make sure your printer is set to 100% with no scaling. The templates are only for the 5 Square in a Square components of this block. Please also make Half Square Triangles as directed and assemble the rows as instructed in the pattern. When selecting fabrics for this month, note that the square in a square blocks are all on point. 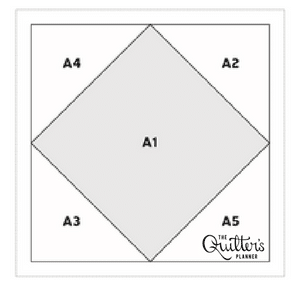 If you are planning to make the quilt using the Modern Bliss layout (which is already set on point), these blocks will be constructed on point; however, they will appear to be straight once the entire block is rotated. Cut the 10 – 2⅞” squares a little oversized. I cut my squares at 3⅛” and then followed the instructions with my slightly larger triangles. They may look a bit strange when you are sewing, but you will have more room to trim them down to size. There are a few things to watch for when squaring your block, with the most important being to make sure that the points of your square are ¼” away from the edge of the block. If you’ve chosen to follow the Modern Bliss layout, there are 2 versions of Block 5 in the quilt pictured on the cover of the magazine (the rightmost blocks in rows 3 and 6). Also, don’t forget that the Modern Bliss layout uses blocks set on point (rotated 45 degrees), so that may be something to consider when selecting fabrics. When sewing your blocks together to make rows, you must be careful not to lose the tips of your squares in your seam allowances. 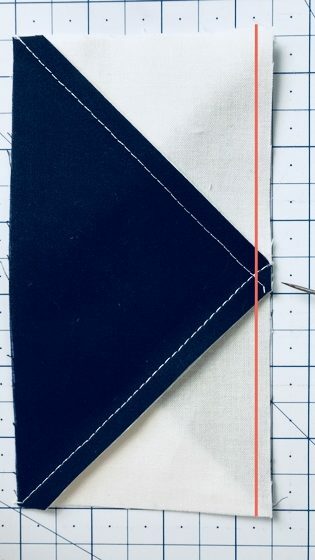 As we learned when sewing together flying geese in month 2, when you join your Square in a Square block to your Half Square Triangle block, try sewing with the Square in a Square unit on top of the HST. 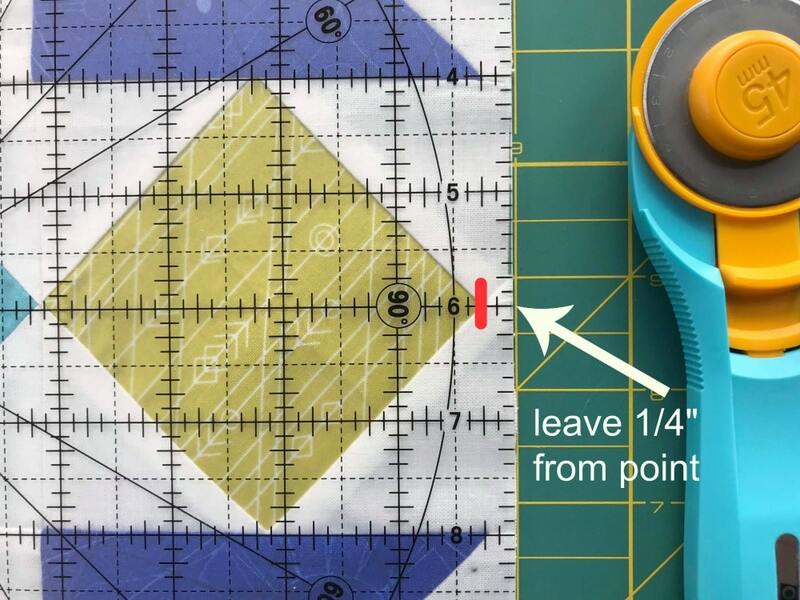 This way, when you are at your sewing machine, you will be able to see your previous line of stitching so that you don’t sew through the top point of the block. Sew your seam a hair to the right of the intersection (shown by the red line) and you will end up with perfect points every time!